Geometry Gym provides OpenBIM software tools and support for Architects and Engineers amongst others in the Built Environment. Primarily these tools target project data exchange. 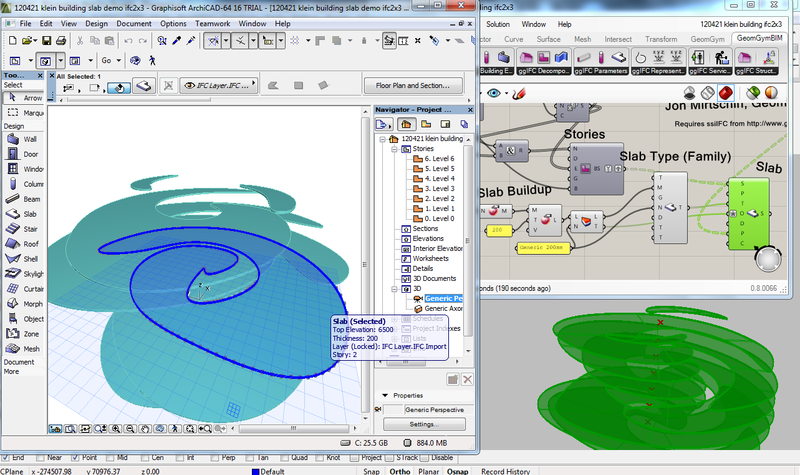 Powerful parametric and generative modelling of projects is enabled by utilizing plug-ins for Grasshopper3d and Rhino3d. Generative BIM data exchange is provided using a combination of OpenBIM formats (primarily IFC) and direct API interaction to popular software including Revit, Archicad, Digital Project and Tekla. Structural Analysis models can be exchanged with many popular analysis software. These tools provide efficient means for manipulating and generating 3d models of projects, particularly useful for prominent Airports, Stadia, Bridges, Long Span Structures, Facades and Atria, where the form and shape are fundamental to the performance and appearance of the project.